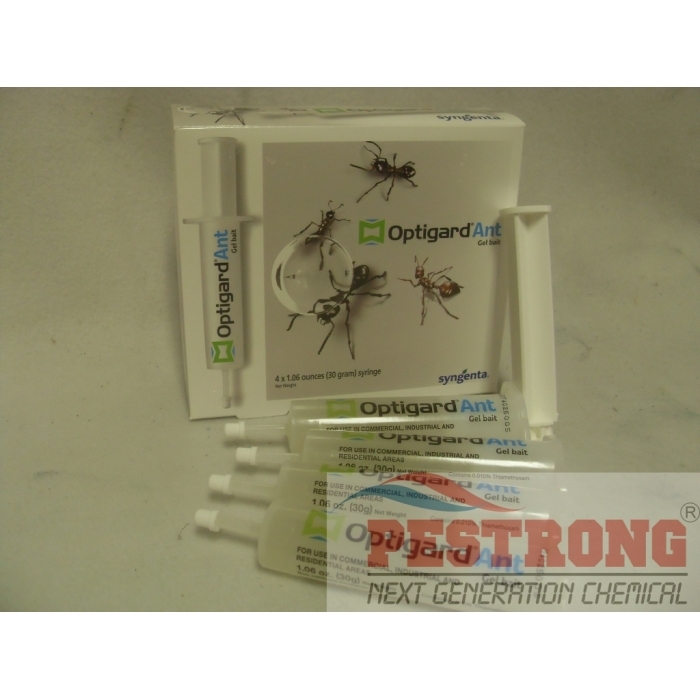 Where to Buy Optigard Ant Gel Bait, Optigard Ant Gel Bait Insecticide - 4 x 1.06 oz syringe - $26.25 for Sale with Fast Free Shipping! Optigard Ant Gel Bait Insecticide - 4 x 1.06 oz syringe provides great result for most ants and include one plunger. Included one(1) of plunger and tip. Thank you guys. Pestrong is great! This product works absolutely fantastic. I took care of an entire Odorous Ant infestation a few days with nothing but Optigard. If you have small ants problem, I strongly recommend optigard. No spray. Just feed them. save a lot!